A simple device to avoid Highly Potential Catastrophes! The infamous "Stuck Hull" in double barrel shotguns! Notice how the crimp points "unfold" after loading? 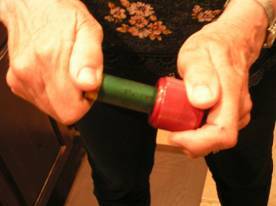 No matter how nicely your shotshell loader makes a fine product, there is no avoiding the "re-swelling" of the mouth of re-used hulls after they have been stored for even a few weeks. So, fix it just before filling your belt at each stage with the proper tool. Fix it with: The handy SliX-Sizer. 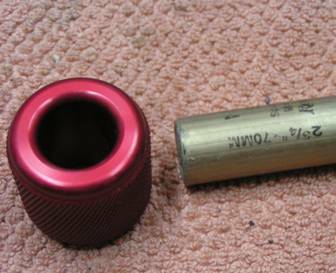 A shotshell sizer for both double barrel and pump shotguns. Unlike some of our other products, this is a use at your pleasure unit. No fitting or tuning should be required unless you have modified your loader, lost the use of one hand or turned lazy. 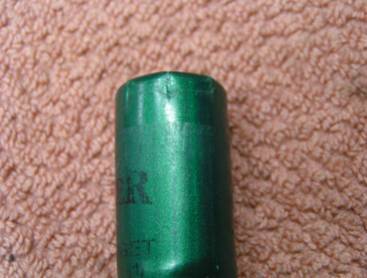 This product can prove to decrease stuck hulls in your shotgun. The cost for the SliX-Sizer is $25 plus S&H.